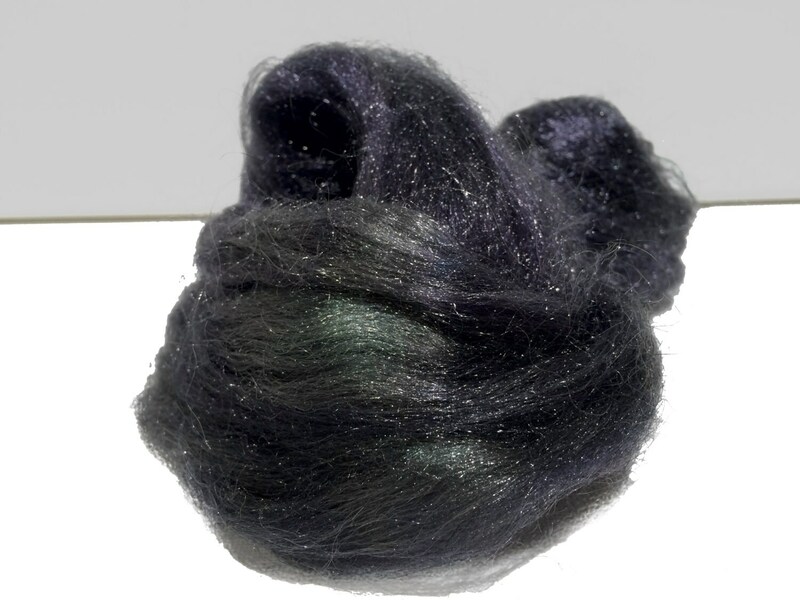 You'll get half an ounce of hand dyed "Jupiper" (black/grey/green) Firestar-- a fine denier nylon fiber that is very easy to blend and very soft. Really fast delivery! 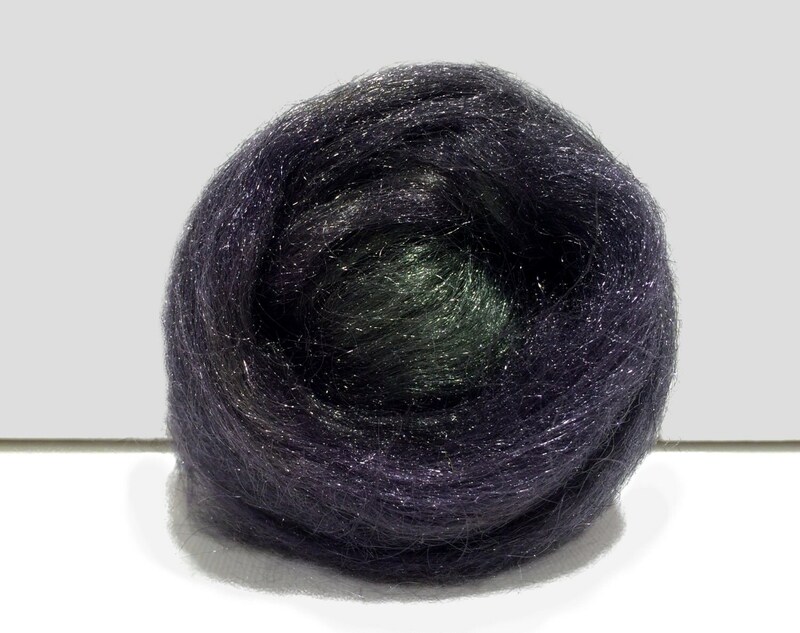 The wool is so much softer than I expected. I'm excited to work with it! Fast shipping. Good shop, always nice product. Order from this shop all the time, never been disappointed. 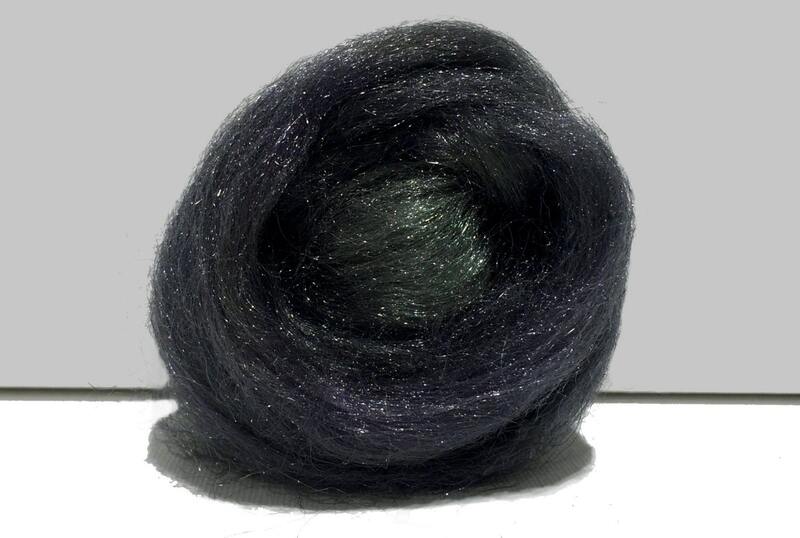 A great dark green color. Thanks! Really wonderful! In reality it's even much more beautiful.